The solution is called enterprise legal management (ELM), but too often so much of what an enterprise’s legal department actually does is ignored. Matter management and e-billing are only a fraction of a legal department’s responsibilities. So why aren’t all the other responsibilities addressed? With Onit’s ELM software, they are. You can manage the whole of your legal department’s operations, from alternative fee arrangements to legal process outsourcing to legal service requests. Too often ELM software goes unused because most ELM software providers are simply creating a better database. What we know at Onit is that a better database isn’t enough. If you aren’t building better workflows this new software won’t ever be adopted by the people who need it most: your legal and support staff. Because process is at our core, Onit’s ELM solution is not a system of record but, rather, a system of engagement. And since legal departments actually use our systems, the completeness of the data they input can be used to drive operational improvements. The system can enable better collaboration which drives efficiencies. And because Onit’s implementation time is a fraction of what other providers can promise, our ELM solution can begin driving those results faster. The E-billing solution allows third parties such as law firms and other vendors to submit invoices securely to the corporate legal department for review and payment. The Matter Intake solution simplifies the matter intake process to a single form, making it easier to streamline workflow and reduce unnecessary information. The Board Kit Distribution solution lets you centralize all information, notify members of new or revised documents, and access to the most current information. The Board Resolution Repository solution is a robust database where you can store, organize and provide real-time access to your entire resolution history. The Ethics Violation solution automates the process by bringing your ethics cases together in one place so your team can collaborate. 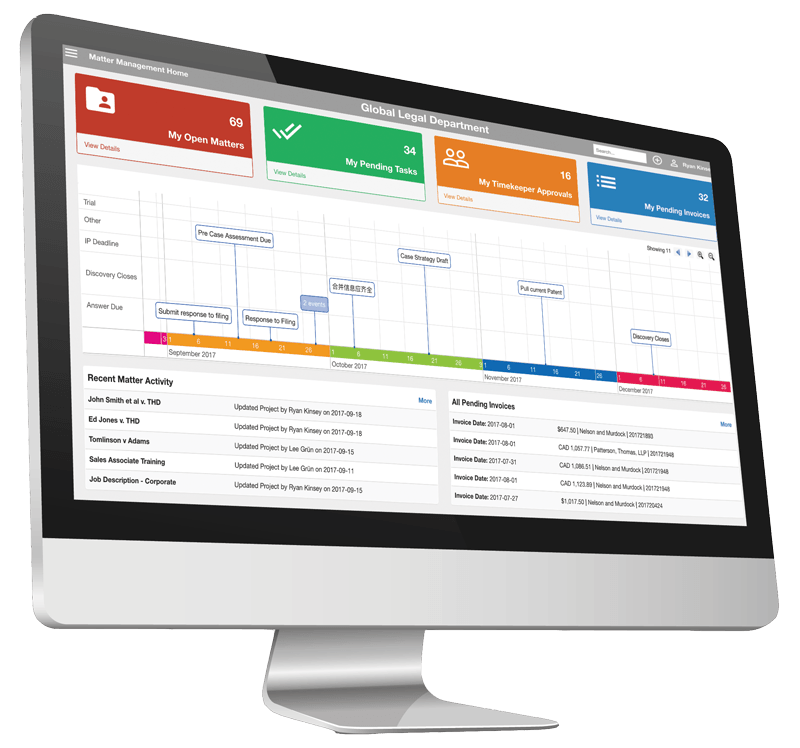 The Legal Project Management solution includes task, milestone management, resource management, and our differentiator: spend management. The Power of Attorney solution ensures the POA designations are current and accurate so that authorizations reflect appropriate business policies and guidelines. The Quote Approval solution gives you the tools to determine the time, materials, and any other costs, so you can provide a fair quote for customers. Smarter technology is bridging the gap for better solutions.